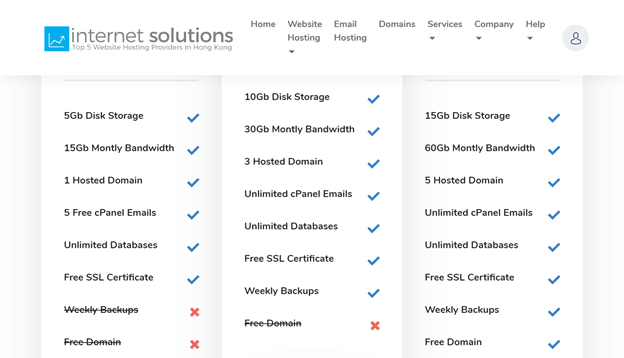 Internet Solutions HK Review 2019: Is Internet Solutions HK a Good Hosting? 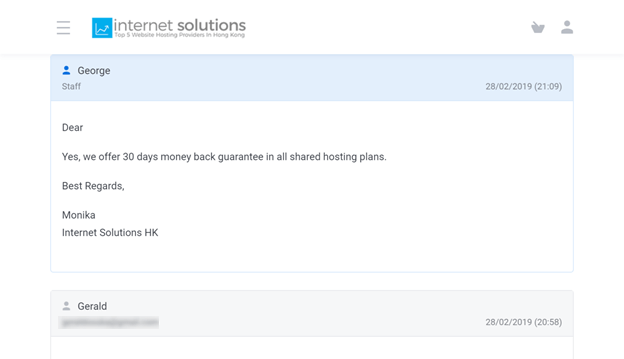 Hong Kong-based website hosting provider Internet Solutions HK prides itself on the fact that its servers are accessible from Mainland China so your website will be visible to Chinese search engines. Hong Kong-based website hosting provider Internet Solutions HK (ISHK) is a web hosting arm of Infinitum Technology Company Limited. This web hosting vendor has been helping businesses of all sizes build their online presence since 2009. The ISHK website is in English. Each hosting plan comes with the user-friendly cPanel control panel for simplified management of your website and hosting account. With this control panel, you don’t need any technical experience. You also get the Softaculous auto-installer for easy installation of 400+ scripts, 1000+ PHP classes, and CMS/e-commerce apps including WordPress, Magento, PrestaShop, Joomla, and OpenCart. If you already have a website hosted with another web host, you can take advantage of the free website migration. ISHK employs the latest technologies – including CloudLinux and LiteSpeed Web Server – to optimize website speed and performance. And you get the usual MySQL and MariaDB databases, multiple PHP support, CGI and Perl support, and protection against DDoS and brute force attacks. ISHK offers reasonably-priced packages with a 7-day free trial period and a 30-day money-back guarantee. The price you pay for the features you get (15 GB disk space, 60 GB bandwidth, free SSL certificates, and multiple domains hosting on the high-end plan) are in line with most local and international competitors. However, as you would expect, the SSD-based hosting plans are much more expensive than the HDD plans. The free trial gives you great features but limited resources to test the services before you upgrade to a paid plan by the end of the trial week. All hosting plans can be paid for on annual or biennial billing cycles by credit/debit card, PayPal, Bitcoin, WeChat Pay, or bank transfer. You get a discount by committing to a biennial plan. This vendor advertises 24/7 support and strives to maintain quick turnarounds by telephone, ticket, and email. There is also an FAQ-like knowledge base that might help you to help yourself, but it’s poorly organized– with a search function and tag cloud, but no table of contents. ISHK offers a suite of feature-rich web hosting packages, cost-effective plans, and beginner-friendly tools. All these come with an uptime guarantee and rapid responses to technical support. One of ISHK’s unique selling points is the fact that its servers are accessible from Mainland China so your website will be visible to Chinese search engines. Make your website available in Mainland China with Internet Solutions HK. Wondering how Internet Solutions HK stacks up against other Web Hosting companies? Enter any other Web Hosting company and we will give you a side-by-side comparison.